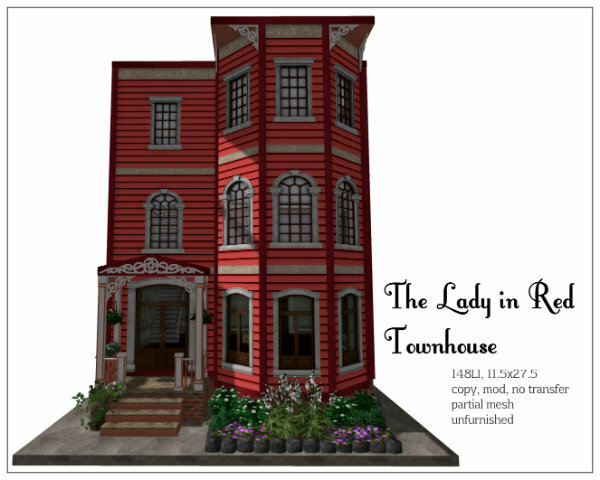 It's been a while since I made a Townhouse and The Lady in Red is a 3-storey old-style City home. 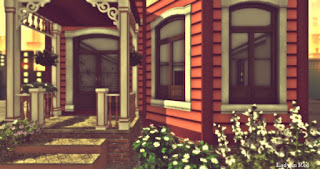 It is narrow and long and the porch is heavily decorated thus I named her the Lady in Red. 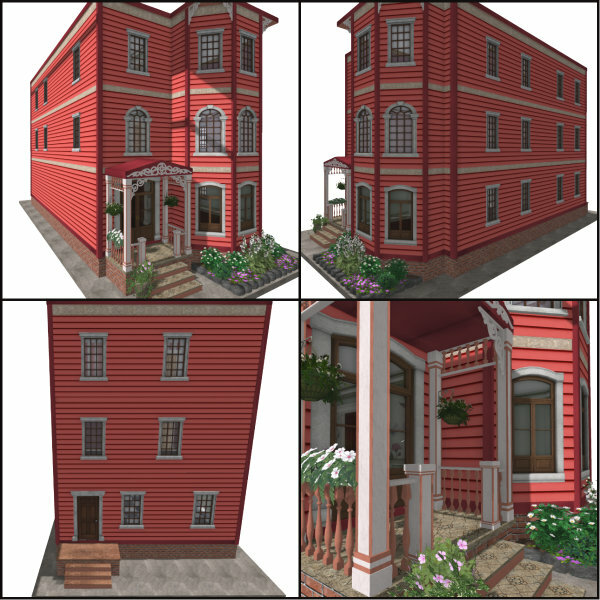 This building can be for a large family or a hostel or even a small hotel. It has a long foyer entrance with beautiful wallpaper, double-doors that leads to the kitchen and living/reception area. It has a large kitchen with a back door. 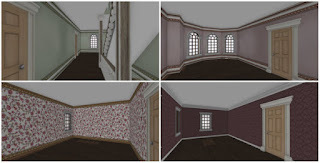 It also has 3 rooms each on the second and third floor. 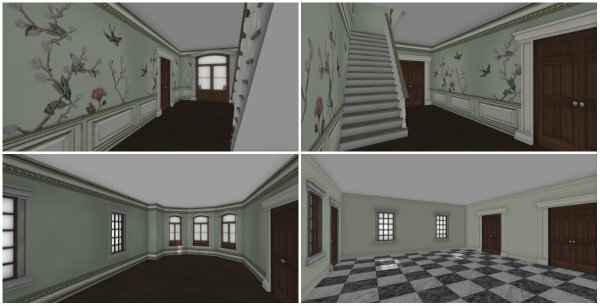 The above picture is the 2nd floor corridor and the 3 rooms with different wallpapers. 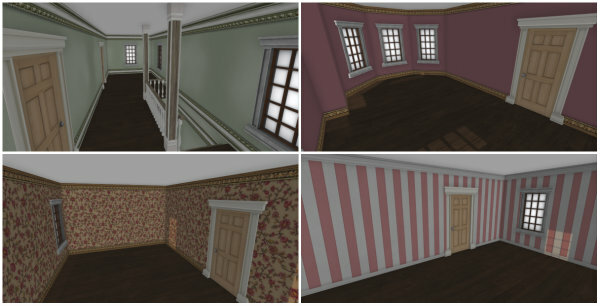 View of the 3rd floor corridor and the different wallpapers in the 3 rooms. The building is 148LI and 11.5 x 27.5. 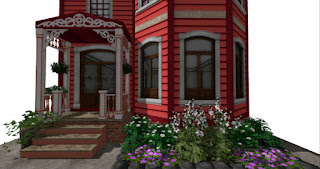 I have also included optional landscaping which is 19LI. The Lady in Red Townhouse is copy, mod, no transfer, partial mesh and unfurnished. Some scripts are no mod. It is available for 599L at my in-world store and the Marketplace. 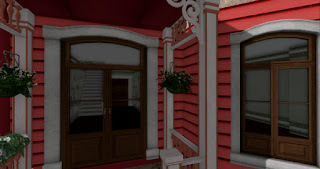 A demo of the house is available for viewing at my in-world store.